Cheap return flights from Copenhagen to Ulaanbaatar, Mongolia €327! Qatar Airways unlimited Wi-Fi in the sky promo offer! Cheap flights from Helsinki to Puerto Rico, U.S. Virgin Islands or Mexico from €351! Cheap return flights from Copenhagen to Ulaanbaatar, Mongolia from €327! You will find the cheapest flights from November 2018 to March 2019. (Except Xmass). Some cheap deals also in May 2019 however very limited. (Simply compare the cheapest travel dates directly at website of the airlines then compare the cheapest option via Skyscanner. Max stay 12 months and no further restrictions of this promotion. Please refer to below booking sample if interested in this offer. Need affordable accommodation in Ulaanbaatar we suggest you book your hotel room through Booking.com, or Hotels.com. 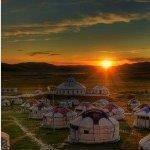 Booking sample of cheap return flights from Copenhagen to Ulaanbaatar, Mongolia from €327! In this case you would depart from Denmark to Mongolia on 18th of March. Return from this remote and isolated country in Asia back to Europe on 30th of March 2019.